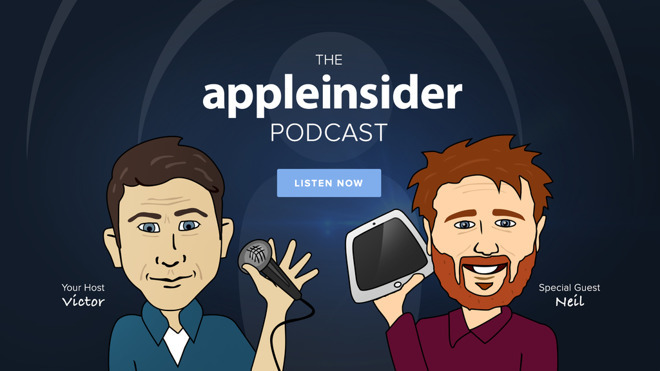 This week on the AppleInsider podcast, Victor and Mike talk about batteries, foreign cash repatriation, and Scott Harkins of Honeywell joins to talk about Lyric and HomeKit home security. Deals: Adorama this week has Apple's Late 2016 13-inch MacBook Pro with Touch Bar in Space Gray (part # MLH12LL/A) for $1,299.00 with $500 off coupon code APINSIDER. This is the absolute lowest entry price into a Touch Bar MacBook Pro with other retailers selling the same system for $300 more. Tim Cook responds to battery debacle, saying they'll make CPU throttling optional. Mike and Victor both think this is Not a Good Thing. Lawyers heading up one of the class action suits over battery debacle want Apple to retain all the replaced batteries. We also think that storing unstable batteries with a lot of potential energy is a Bad Idea. Mike and our readers propose they be stored at the lawyers' offices, as an exercise in "be careful what you wish for." Apple moves further into content creation, having picked up yet another property in LA. This time, it's a building that was going to become HBO's new offices in Culver City. This is only one of the things going on this week that are kind of big. Apple's push into content has created demand in the market for actors, pushing up actor's salaries. Apple is competing with HBO over JJ Abrams' new TV show. It's the second sci-fi series we know Apple to be working on, third if you count Amazing Stories with Spielberg. Apple signed Kirsten Wiig for a comedy series, working with Reese Witherspoon's production company. The importance of keeping your iPhone up to date - there's a bug where if you're the recipient of a message with a certain web link, it will crash your Messages app and Safari trying to render the web preview. A fix already exists in Mac and iOS betas, so update accordingly when an update is released. 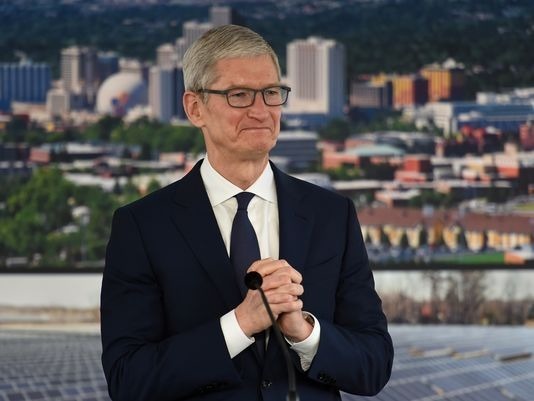 Tim Cook cites GOP tax reform as driver in $350B US investment. This is non-US money being repatriated, and is expected to lead to as many as 20,000 jobs, a new HQ somewhere else in the US outside of California, and about 38Bn in taxes. It also has aided Apple in giving every employee some stock. Aspyr ships 'Civilization VI' Fall 2017 update for macOS, Metal-supporting games list compiled. Victor and Mike ponder using eGPUs for gaming. Supply chain reports indicate that Inventec is shipping the first HomePods. No word yet on Foxconn. Siri learns to play news podcasts. Victor thinks this is about maintaining feature parity for things like Alexa's 'good morning' routine. BMW decides to turn CarPlay in BMWs into a subscription service. Mike and Victor are not impressed, and we don't think BMW customers will be, either. That thing your Honda or Toyota/Lexus owner pays once for doesn't come standard, and to add insult is an $80/year cost for the life of the vehicle? Google Chromecast devices can DoS (denial of service) flood your router with mDNS packets, causing your Wi-Fi router to require rebooting. This happens when they wake from a long period of having been asleep. Adorama this week has Apple's Late 2016 13-inch MacBook Pro with Touch Bar in Space Gray (part # MLH12LL/A) for $1,299.00 with $500 off coupon code APINSIDER. This is the absolute lowest entry price into a Touch Bar MacBook Pro with other retailers selling the same system for $300 more, according to our 2016 13-inch MacBook Pro with Touch Bar Price Guide. What's more, Adorama will not collect sales tax on orders shipped outside NY and NJ, saving many shoppers another $100 on average. Expedited shipping is also free to the lower 48 for fast delivery. To compare this deal with discounts on 2017 Touch Bar MacBook Pro models, shoppers would need to spend $350 more to upgrade to Apple's standard 2017 MacBook Pro with Touch Bar. This deal, which is valid while supplies last, is available only at AppleInsider using the APINSIDER promo code.